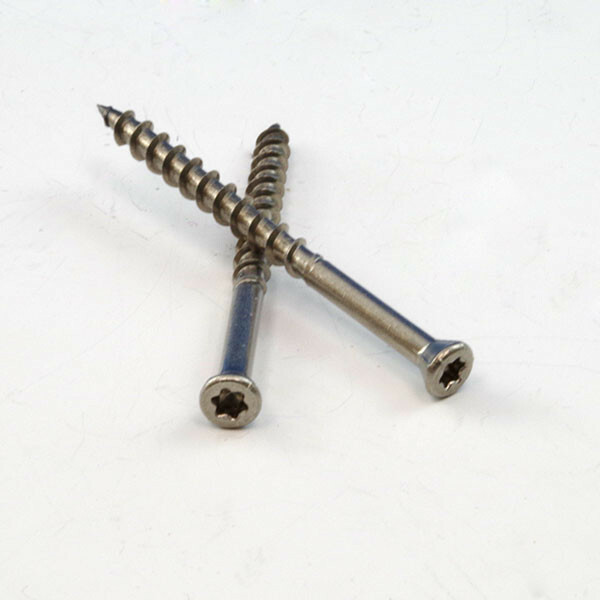 For a great value and superior performance in cedar, redwood, hardwood, composites and treated lumber, use DECKFAST Stainless Steel Star Drive Deck Screws. 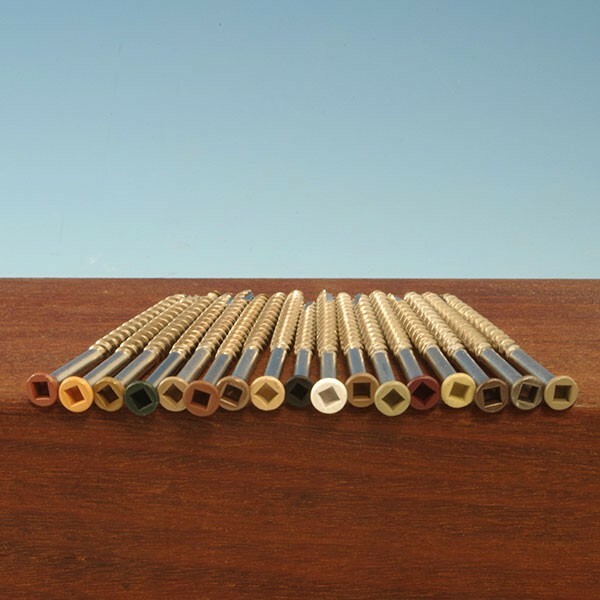 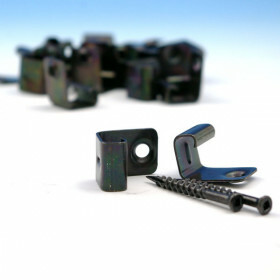 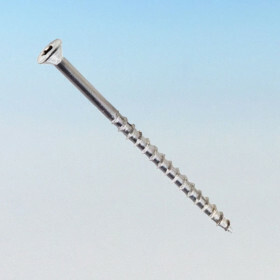 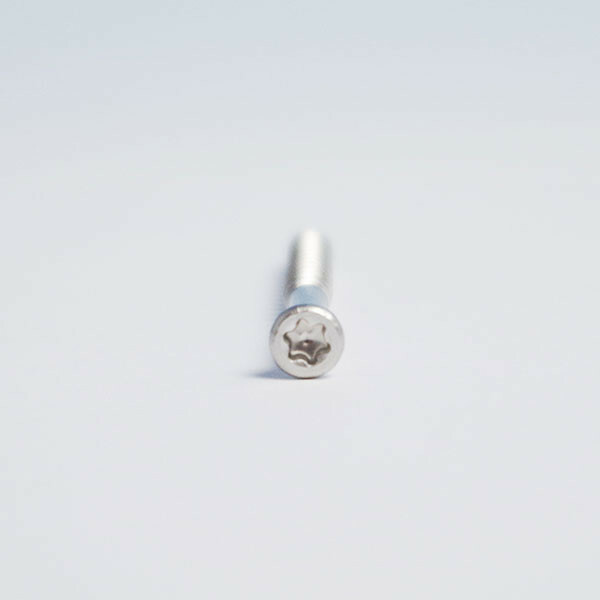 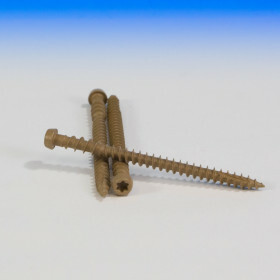 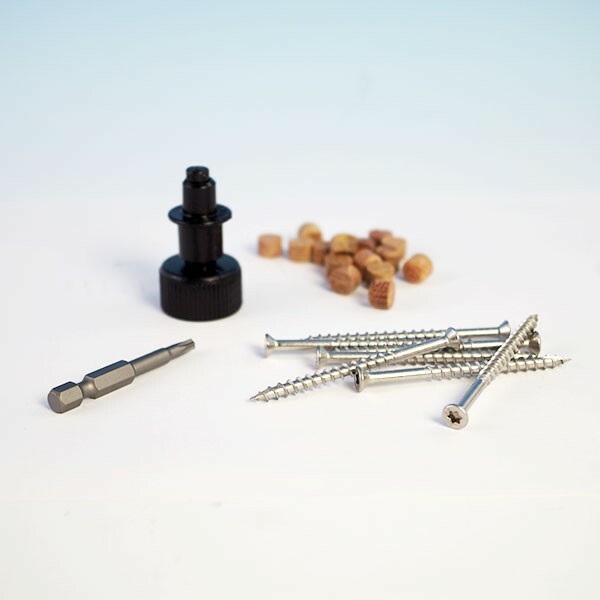 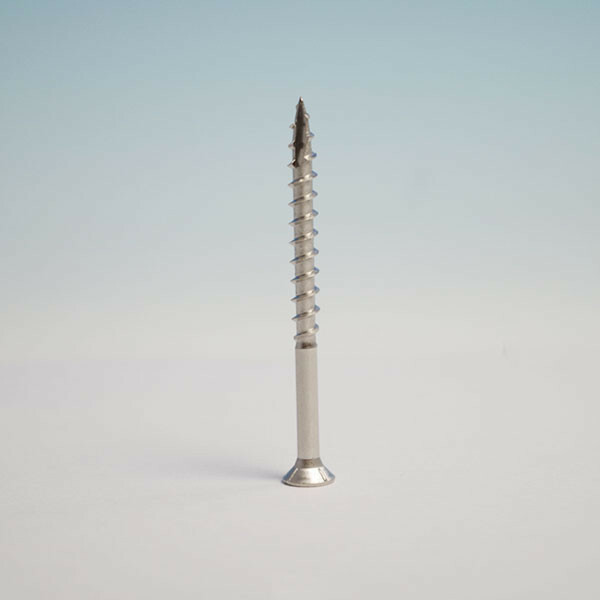 This screw comes in a wide variety of sizes, lengths, and pack sizes plus two head types to fit your needs for any job, reliably delivering professional-grade fastening in any type of decking material. 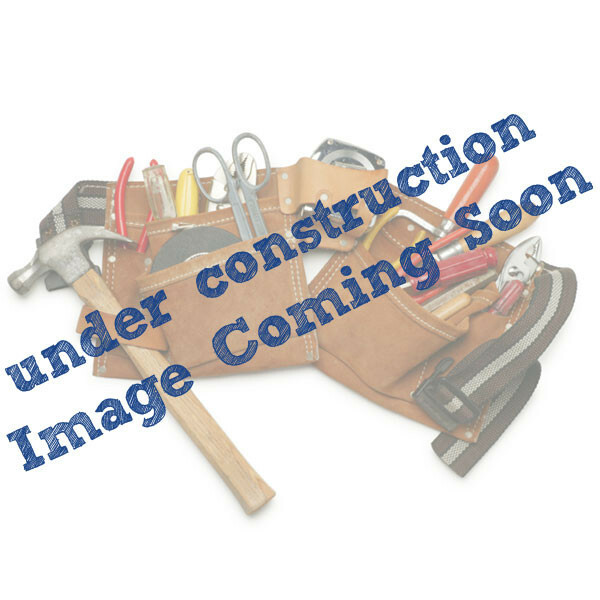 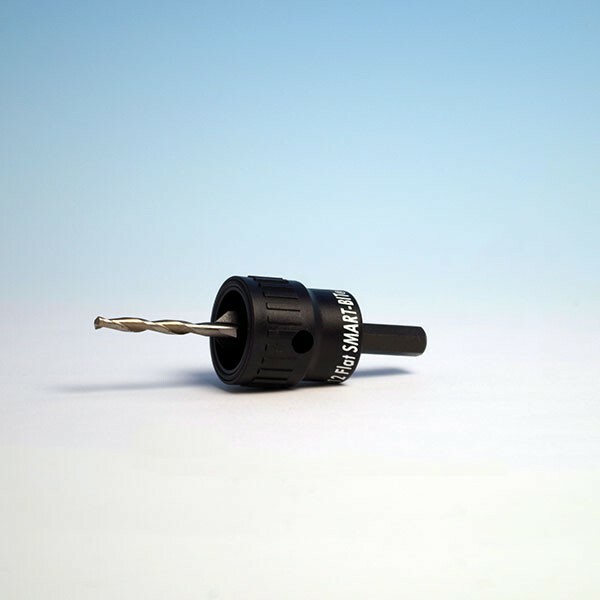 It is compatible with Starborn's SMART-BIT tools, making installation even faster and easier. 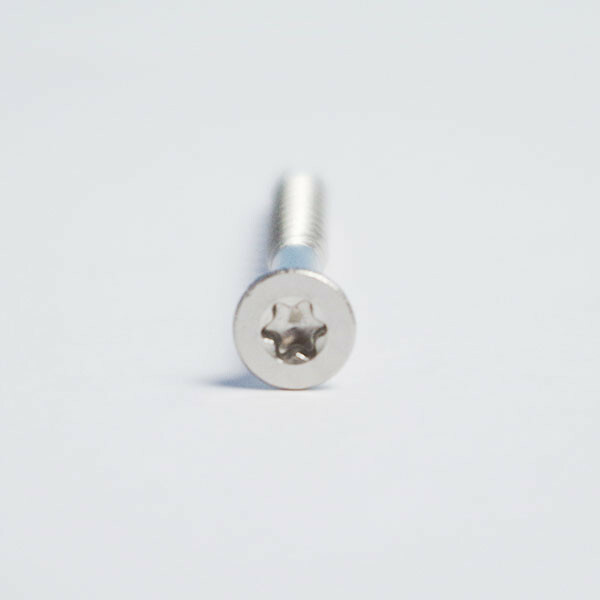 • Specially-designed Head - Star drive recess is extra deep to reduce cam-out, nibs on flat head or trim head provide better countersinking. 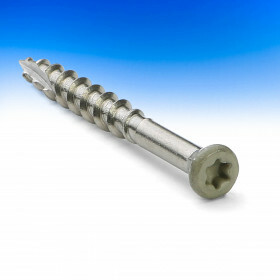 • Strong and Durable - Made from Grade 305 stainless steel to resist staining and corrosion. 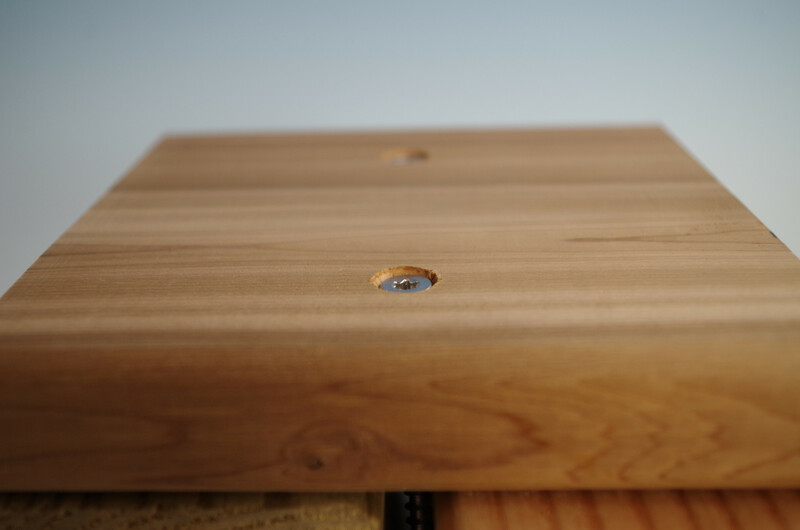 Also approved for use with ACQ treated lumber. 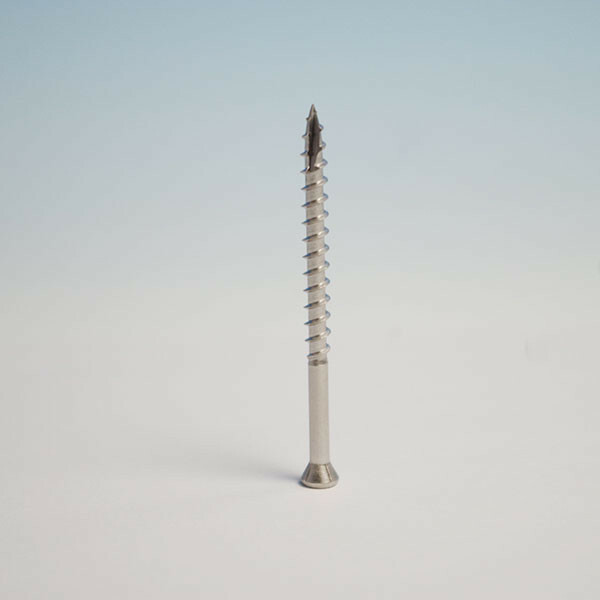 • Auger Point - Greatly reduces need for pre-drilling and helps prevent splitting. 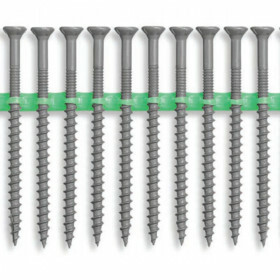 Drive Type T-15 Star: Trim Head #7 x 1-5/8" & #7 x 2-1/4"
T-20 Star: Trim Head #8 x 2-1/2" & #8 x 3", Flat Head #6 x 1-1/4", #8 x 1-5/8" & #8 x 2"
T-25 Star: Flat Head #10 x 2-1/2, #10 x 3" & #10 x 3-1/2"
Screw Length 1-1/4", 1-5/8", 2", 2-1/4", 2-1/2", 3", and 3-1/2"
Other When using treated lumber decking, flat head screws are recommended. 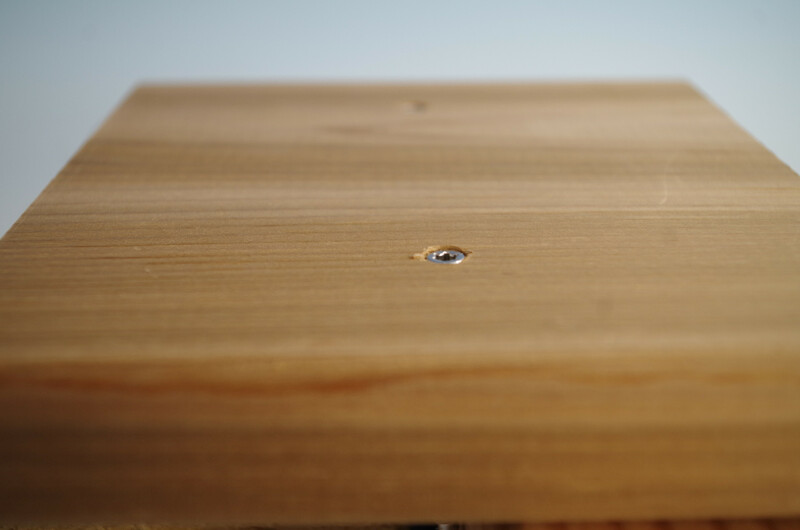 For hardwood decking, trim head is recommended.